If you have chosen to spend your gap year in Jerusalem it won’t be long before you come across the neighbourhood of Rehavia. Located just by the centre of town, this is one of Jerusalem’s most beautiful neighbourhoods and amongst other things is home to the Prime Minister’s and President’s houses. While Rehavia is certainly one of Jerusalem’s wealthier neighbourhoods, there is still plenty for you to discover there on your gap year, regardless of your budget. To begin with it is certainly worth exploring the neighbourhood by foot. 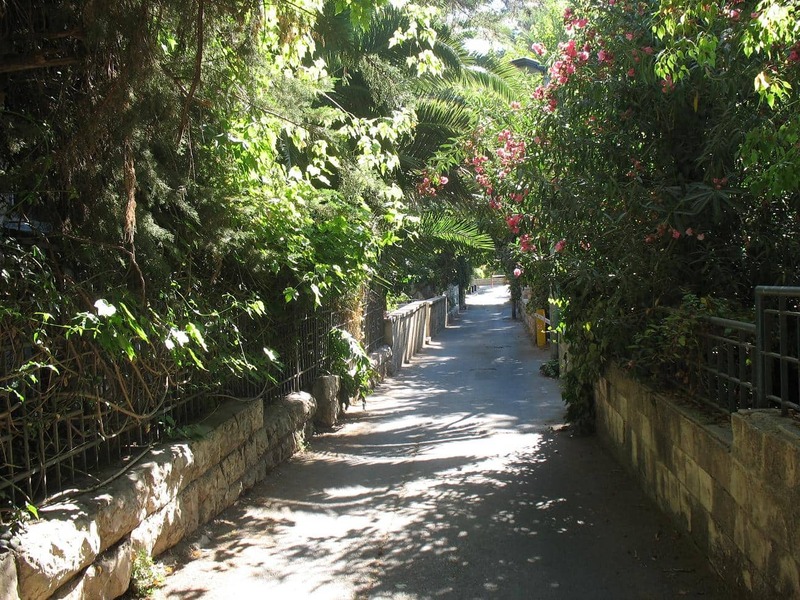 You will find that it is full of beautiful streets and small parks. Spending an hour or so walking round is always a peaceful experience and you are sure to enjoy it. On the north side of the neighbourhood is Gaza Street. The street leads all the way up from the Valley of the Cross Park at the bottom to the centre of town at the top. The park itself is also a worthwhile place to visit for those that enjoy walks in beautiful greenery. The park offers some great views and you can also visit the Monastery of the Cross which dates back to the Byzantine period. Inside you can see a number of impressive paintings and it is also a great place to stop for an ice cream. On Gaza Street itself you will find a number of places that are worth visiting. The famous From Azza to Berlin (Azza being the Hebrew name for Gaza) is a great lunchtime destination that won’t break the bank. It serves fantastic hummus in a friendly atmosphere complete great coffee and more. Also on Gaza Street is Azza 40, a relaxed restaurant that is very popular with the locals. It has a lively atmosphere and tends to attract a young crowd looking to have a fun time with friends. You’ll find a hugely varied menu with enough to satisfy every taste. It’s also a great place for a night out where you are bound to meet some friendly Jerusalemites. For those more culturally minded you can visit the Van Leer Institute on Jabotinsky Street. It hosts a huge number of lectures and other events on topics such as politics, history and religion. A number of these events are in English so they can be enjoyed by all and the institute is set on some amazing grounds that are also worth walking around. Rehavia is also home to the Jerusalem Theatre which always has a number of things going on. If you want to try some Israeli theatre or listen to concerts from the Jerusalem Symphony Orchestra and other ensembles then this is the place to go. There are also a number of dance shows, film screenings and much more so it is worth keeping an eye on the listings. This is just a small segment of what can be found in Rehavia. Hopefully during your year in Jerusalem you will have the opportunity to discover it all for yourself and enjoy all that it has to offer.